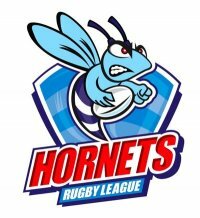 This week I will once again review how the season is looking for some of our rugby league teams. Here I’ll concentrate on the 12 sides which make up this season’s Championship and take a look at how they have fared through the second quarter of the season. 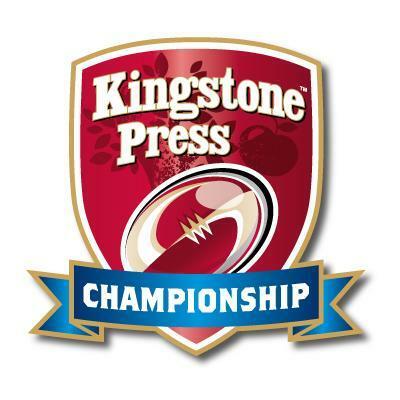 Since that opening few weeks which saw Tim Sheen’s side live up to the theories that the squad is far too strong for this level, they carried that form through to Round 10 where further wins over Halifax, Batley, Swinton and Featherstone firmly established them as the runaway league leaders. But a surprise defeat in Toulouse in Round 11 rattled a few cages and opened many people’s eyes to the potential prospects of the French side. But a comfortable home victory over Rochdale ended any possible thoughts of a collapse and Hull KR are still firm favourites to lift the league-leaders shield. The success of Toulouse’s opening quarter of the regular season saw a few eyebrows raised as they won four of their opening six games. Amazingly, Sylvan Houles’ squad have gone from strength to strength and a 14-6 victory over favourites Hull KR and then a huge 60-4 trouncing of Bradford Bulls has firmly established the club as potential promotion challengers to the Super League. The next six games will see them battle it out with Featherstone to stay in second place but with five wins from six in this latest quarter I would not be surprised if they remain where they are. 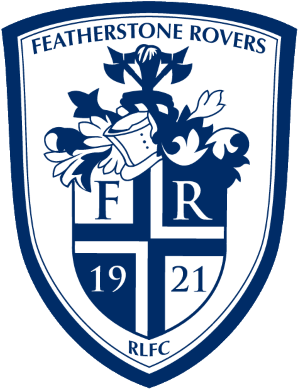 As for Featherstone Rovers, they’ve slipped a place down the table due to the successes of Toulouse and a Round 7 defeat to the French side coupled with a defeat to leaders Hull KR in Round 10 mean they took just eight points from their second quarter. The next group of fixtures sees Rovers take on London Broncos and Hull KR at the home in consecutive weeks, so wins in either or both of these matches could be crucial if they wish to remain inside the top four before facing London and Halifax again later in the season. 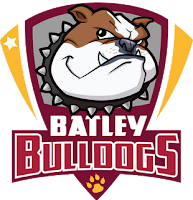 Defeats to Featherstone and Batley Bulldogs in the opening two rounds of the 2017 season mean that the West Yorkshire side had a mountain to climb in order to fulfil the ambition of reaching the Qualifiers again. A further defeat at home to Toulouse in Round 5 meant they had just three victories from six games. But five wins in a row in the last five games have seen Halifax bounce up the table and sit in the qualifying spots thanks to a point’s difference of +81, compared to London Broncos’ +80 who are fifth. The Broncos have remained consistent from the opening quarter in so far as they’ve won four and lost two games in the next six matches. But overall, Andrew Henderson’s side have been pretty inconsistent so far considering many tipped them to be challenging Hull KR. A surprise defeat away to Sheffield Eagles followed by defeat to Featherstone early in the quarter allowed Halifax to catch up with them, and Toulouse and Featherstone to establish stronger leads in the race for the top four. Strangely Batley have moved up a place in the table despite a worse record in this second quarter than they gained in the first. Just two wins saw them add four points to their overall total but due to results elsewhere they are up to sixth on point’s difference. A big six rounds is coming up for the Bulldogs if they harbour any hopes of returning to the Qualifiers at the end of the season but they now effectively lead the bottom half of the table. Upcoming home games to Hull KR and Toulouse will be big tests. Despite victory over Toulouse in Round 2 the Eagles had an awful start to the season with that being their only victory of the opening quarter. Since then they have enjoyed great success thanks to two-pointers over Swinton, London, Rochdale and Dewsbury. Despite a defeat to Bradford in Round 9 and an expected loss to Featherstone more recently, Sheffield have reached double figures in the points column but their next two games over Bradford and a trip to Toulouse will test Mark Aston’s squad. The Roughyeds have enjoyed a much better second quarter of this regular season and despite flirting with the relegation zone early in the campaign they have potentially done enough to remain a force in the Championship for next season. There’s still a long way to go but crucial victories over most of the teams below them, and game in hand with struggling Dewsbury Rams to still be arranged, will be a positive for the Oldham fans. They may not reach the qualifiers but they might just stay up. If this was a league based on form then Rochdale would unfortunately be bottom. After a blistering start to the season which saw Alan Kilshaw’s promoted side sit in first place after two rounds will have pleased the fans no end, but six consecutive victories have meant a drop of four places with no further points. Admittedly, recent defeats to Swinton and Batley have been by the odd point or two but they need to convert those games into much needed victories in case Swinton and Dewsbury find some form of their own and drag them into a relegation battle. Moving onto the Lions they only sit in tenth because of Bradford’s point’s deduction. One win in six in the opening few weeks was followed by the exact same record in the second quarter. That solitary win over Rochdale may be crucial if they want to drag the Hornets down the pecking order but they have a horrible run in their next six games which includes matches against three of the top four plus Sheffield, Oldham and Batley. The Rams also have Bradford’s 12 point deduction to thank for them not being bottom of the league with the worst record of all 12 clubs so far in the Championship. 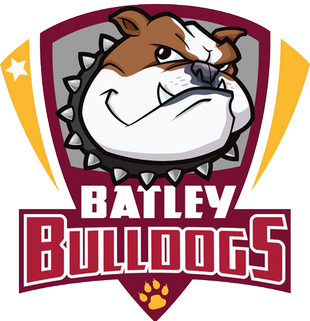 A solitary win over Batley is all they have from their first 11 games. It’ll be a major shock if Dewsbury can get out of the bottom two ahead of the Championship split at the end of the season and, unfortunately, I think Neil Kelly’s side are already destined for League 1 in 2018. Bradford were expected to find it tough going this season what with having a 12 point deduction to contend with but they will be mightily pleased that they have managed to cut that down to just -2 after the first 12 rounds. The Bulls take on Sheffield, London and Hull KR in their next three games so they will have to work in those matches to try and reduce that points total back to zero but a Round 16 tie against Dewsbury should be the game to do it if not already done so. If they can win as many games again in the second half of this regular season they may just have a chance of beating the odds and surviving in the Championship. If you like what you read you can follow all my blogs through @TheRLBlogger.